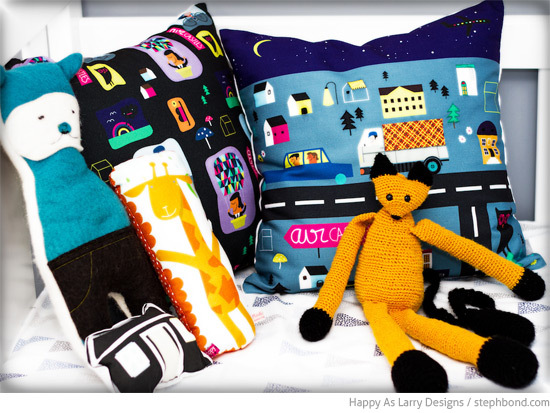 Mum Amy filled her newborn son Caleb's room with lots of beautiful fair trade products from her online store Happy As Larry Designs. I'm completely wow'd by Amy's ombre grey IKEA drawers hack. They look amazing with colourful knobs to match the pixel rug. 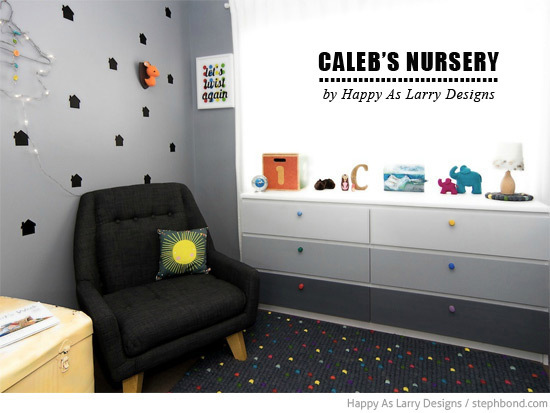 Read on for all the details from Caleb's gorgeous room. Drawers: IKEA drawers painted by Amy and her husband, with new knobs from ? I would love a new fancy cot like the Kaylula Sova Cot but being the 3rd and last baby of the house was hard to justify! What is your favourite part of the room? I love sitting in my chair feeding my bubba. 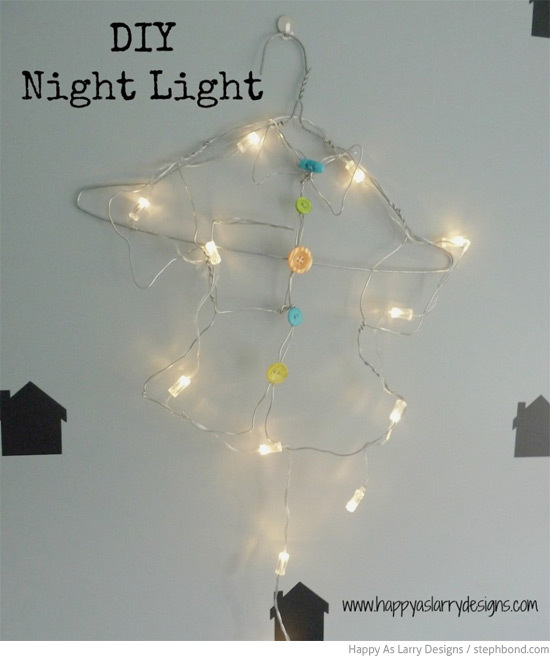 The DIY night light has been so wonderful giving a soft glow for those middle of the night feeds and nappy changes. 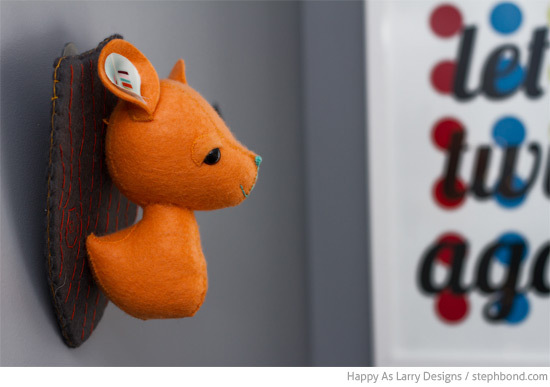 Any tips or tricks that you can share for creating a beautiful boy's nursery? Create a room that will last for many years. 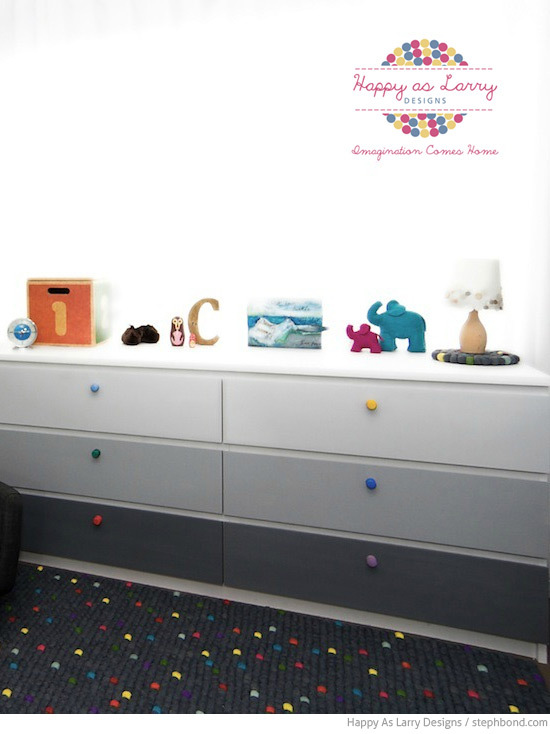 A neutral paint colour and staple furniture pieces will make the transition from nursery to a big boy bed that much easier. Spend money on pieces of furniture or accessories that will last and can be used in other rooms. We plan to use the arm chair down the track in our own bedroom. 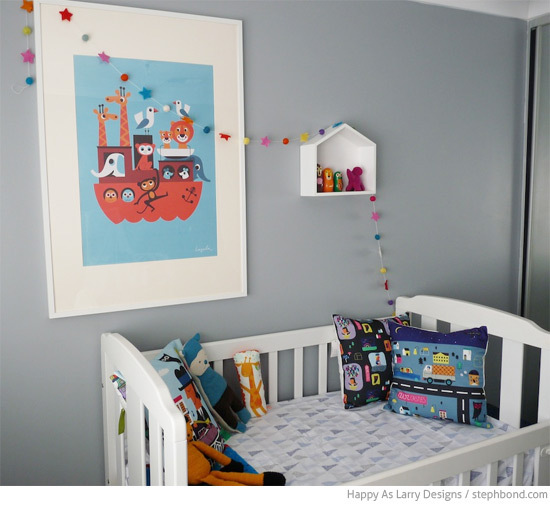 Thank you so much Amy for sharing your son's beautiful room with us - a great example of a cheery room using tones of grey with bright pops of colour. Lucky Caleb!